Clean lines and angular shapes dominated the runway in Victoria Cullinan Strayhorn’s collection at Charleston Fashion Week. The Charlotte based emerging designer used her design background at Ralph Lauren and Calvin Klein to produce sleek and classic looks made for the modern woman. "I created this image for designer Victoria Cullinan. She drew inspiration for the collection from the wings of moths. I photographed the images in dusty rooms and focused on making the images have alluring light to play on the moth's attraction to light." Victoria’s line is incredible, and she is definitely one to watch as she grows her beautiful, elegant brand. "Take one step into 27-year-old fashion and textile designer Victoria Strayhorn’s home studio and you’ll get workplace envy. Light streams in through skylights and spills across a spacious desk and table bordered by inspiration boards and sketches, then spills farther across a plump couch and racks of clothing cut into high-fashion form." The lightseeker collection was used for inspiration for an Architecture and furniture design thesis. Article featured in the 2nd volume of RE: Magazine. Emerging fashion designer Torry Strayhorn, creator of the Victoria Cullinan brand, describes herself as a minimalist who creates pieces for all ages that are modern yet classic. On April 27, the Charlotte native launched her brand in her hometown during two private showings of her Fall 2017 collection held at the home of neighbors and friends Aundrea and Stephen Wilson, a fellow textiles-obsessed artist. 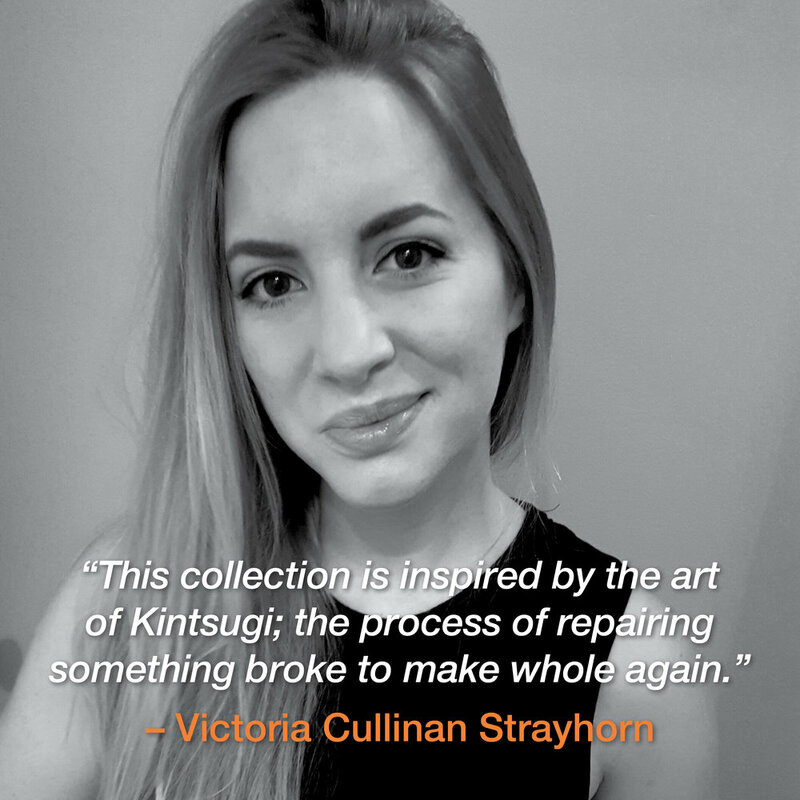 Victoria Cullinan Strayhorn has been selected as an emerging designer to compete in Lexus Charleston Fashion Week®, one of the leading fashion weeks in the United States. The event from March 14 - 18 will feature runway shows by 16 competing designers, selected from a field of 600 applicants. Designs from The lighseeker collection were used for The OIKYA photoshoot and featured in the 3rd volume of the RE Magazine. In partnership with Fibers Major Jamie Bourgeois.